Business Monitor is an accounting service for small and medium sized business. 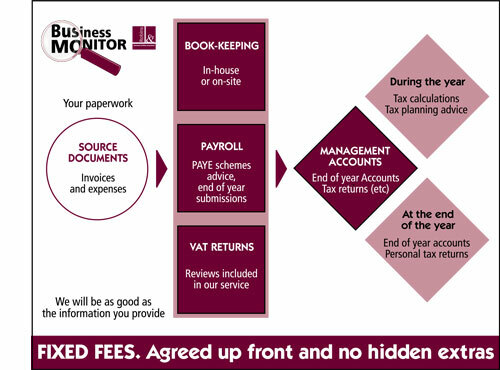 Through our Business Monitor package, and in partnership with you, Robins & Co will provide you with a managed accounting service through which your annual accounts will be produced accurately, on time, in compliance with statutory requirements and painlessly! In order to achieve this we will update you with quarterly ‘Business Reviews’ on your accounting position. In return you will provide us with the information necessary for us to provide this service. We will also offer constructive ideas to increase profits and to grow your business.